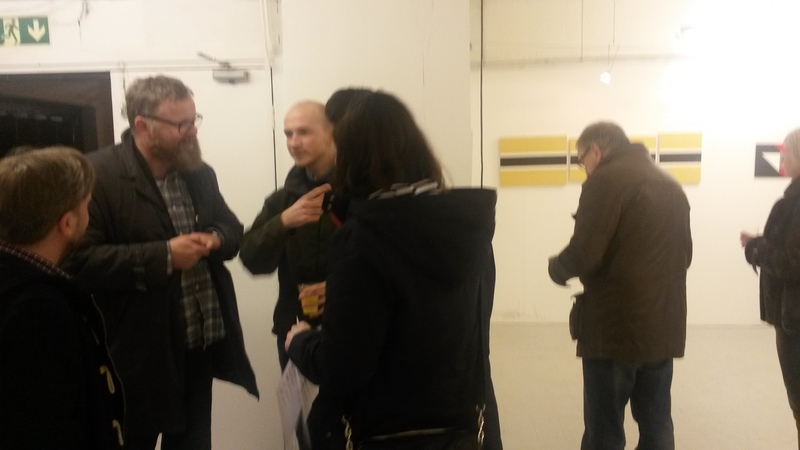 Bankley’s first artist residency exhibition for 2015 has drawn to a close and artists Martin Olsson and Gary Andrew Clarke celebrated its ending by hosting a fabulous wrap party. The selling show was a great success and we are proud to share the news that Martin Olsson enjoyed his stint at Bankley so much that he decided to join us permanently and become a member. 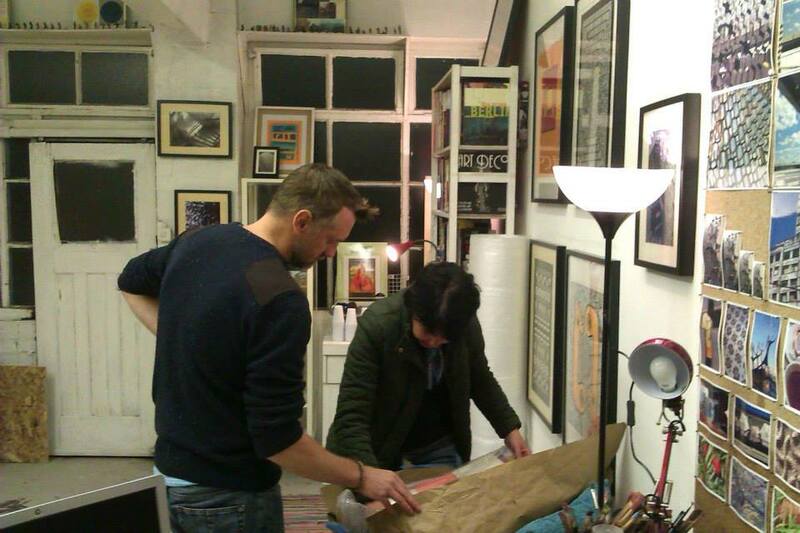 We’ll be seeing much more of both Martin and Gary around the gallery I’m sure. 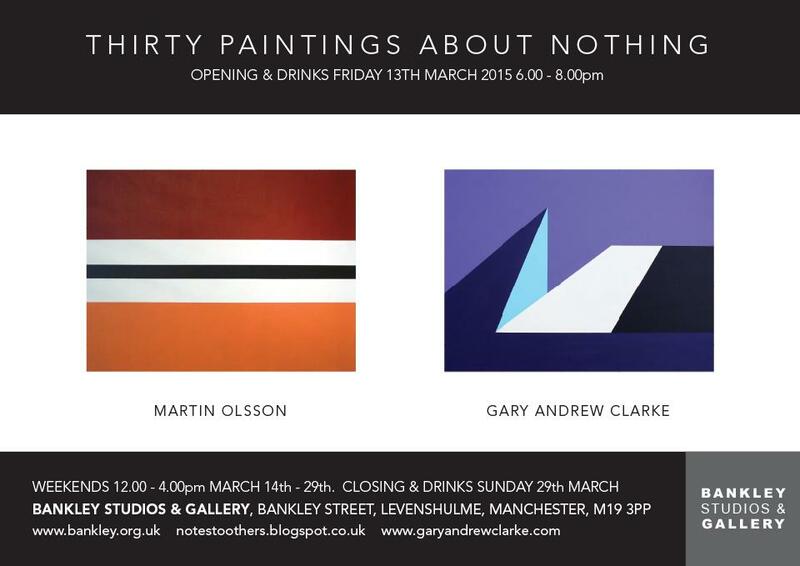 ‘Thirty Paintings about Nothing’ is a two person show featuring paintings by Martin Olsson (b.1971) and Gary Andrew Clarke (b.1970). 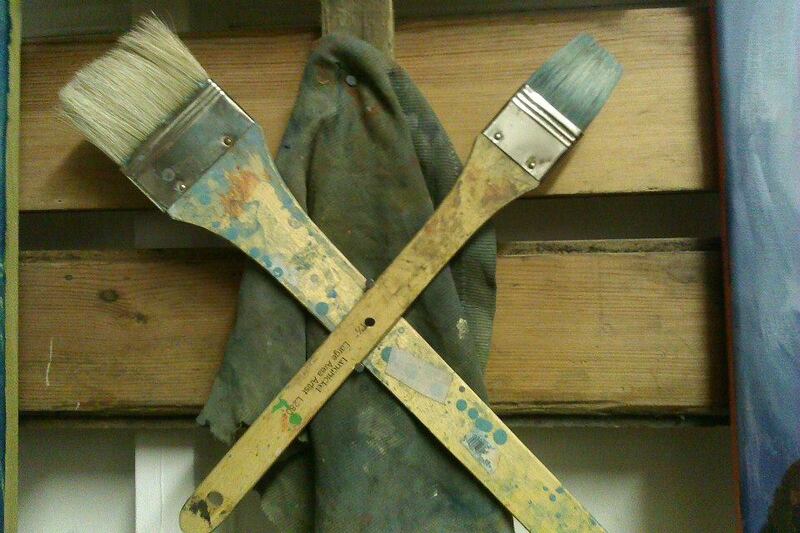 Both are based in Bankley Studio. Each of the artist’s work in a style best classified as Hard-edge abstraction, an approach that has its roots in 1960s West Coast America. It’s an idea that has a visual interest in pure geometry, and is characterized by its flatness of surface, fullness of colour, economy of form, and avoidance of imagery or metaphor. Individually, both approach this idea with very different techniques and rules, and as a result the paintings take related but opposite viewpoints on shape, movement, colour, repetition and naming. 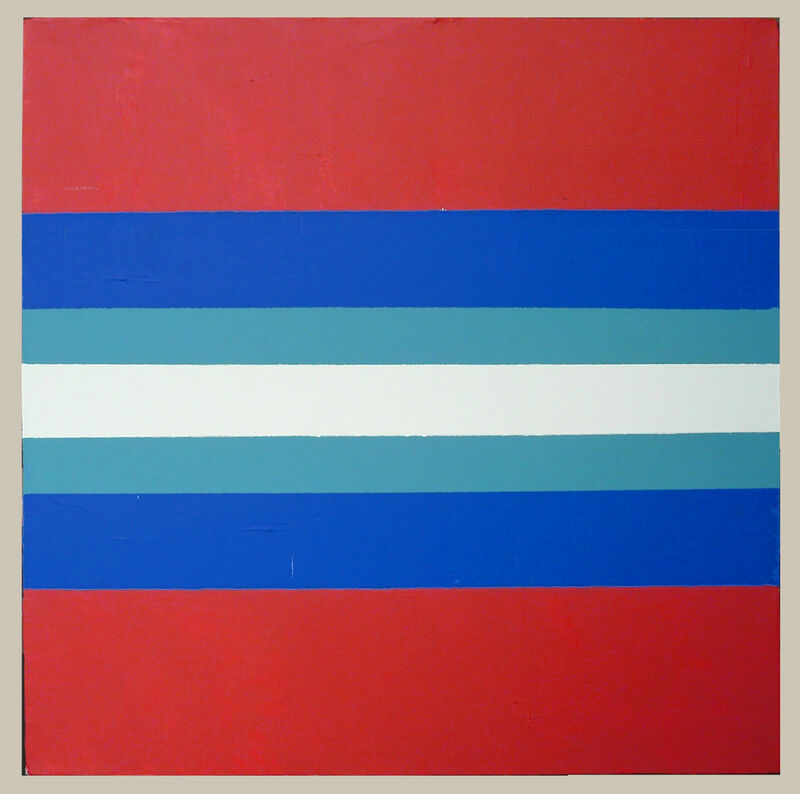 In his paintings Gary Andrew Clarke creates energy and movement using the push & pull of simple geometry, colour & tone. He has a longstanding fascination with the mathematically curious ‘Golden Ratio’ number (61.8034, known since classical times, and seen in maths and nature), and this proportion is used to influence the structure of the work, their internal shapes, and the relationships between the two. He lives & works in Stockport. Martin Olsson’s work develops from a more rigid set of rules, and in this rigidity lays its rationale. 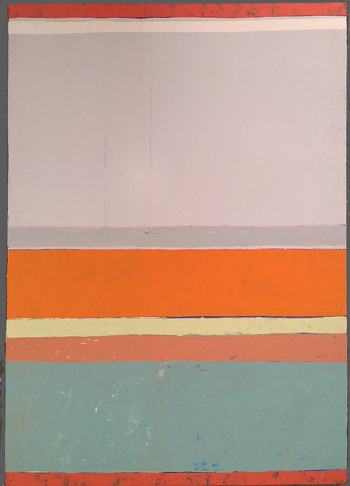 He wilfully turns away from activity or movement, being solely interested in the realm of colour and proportion. 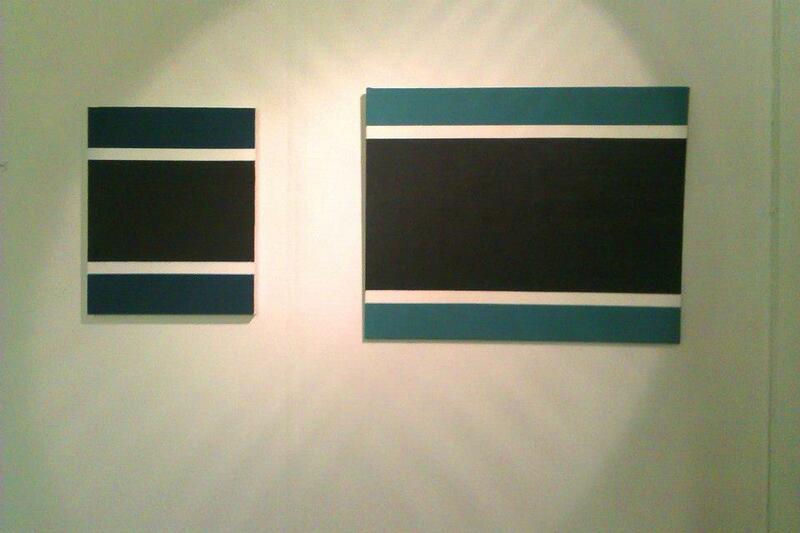 The solid and strong use of colour is monotonously repeated to stress the bond between each work in the series. Olsson uses symmetry to further purge the surface of action, allowing the viewer to delve into strictly ordered yet functional stillness. He lives & works in Buxton. 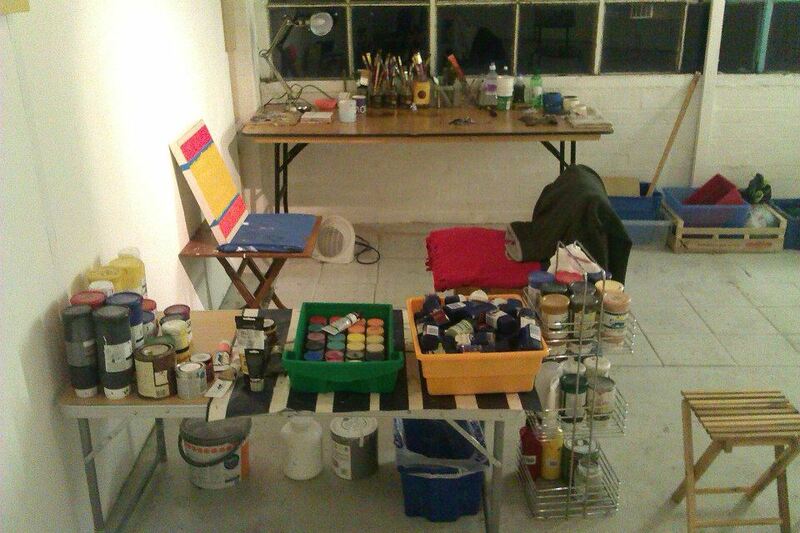 Martin Olsson is the first artist selected for our Artist Residency Program in the new Bankley Project Space. He will be joining us from December to March 2015, creating new work onsite and the residency will culminate in a solo exhibition at Bankley Gallery. 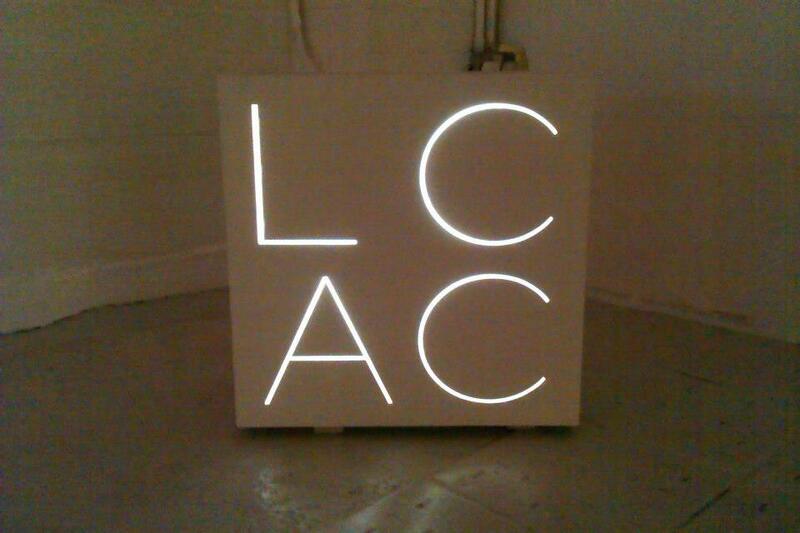 The Artist Residency program will provide space and support to artists for experimentation and the development of new work which will be shared through public events and exhibitions. 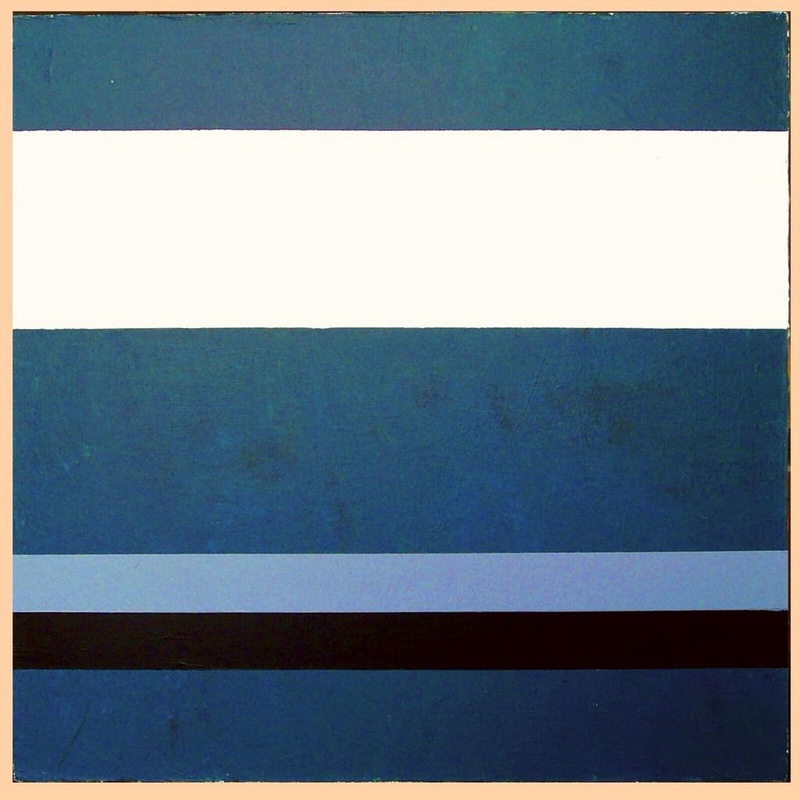 Martin’s paintings are predominantly of geometric abstract nature and he looks for a balance between simplicity and the presence inherent in colour. 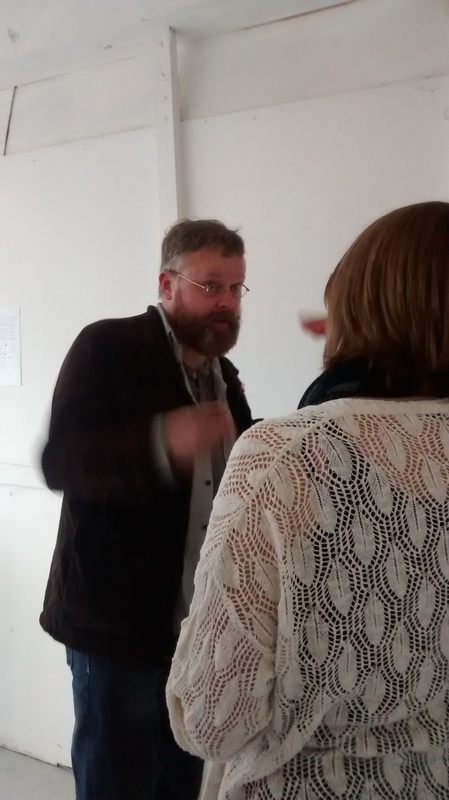 Lucy Harvey: Earlier this year I caught you discussing the motivations behind your work at a CG Associate session at Castlefield Gallery Manchester. Myself and the group were surprised to learn that you had a background as an illustrator and I was struck by the ways in which you saw abstraction as a way to negate narrative and counter the literal nature of this work. I wondered if you would like to expand on what drew you to abstraction and if you still see it as an act of rebellion? Martin Olsson: ‘Rebellion’ is a strong word but I suppose not entirely out of place here. As drawing has always been something I’ve done it follows that the way I’ve seen images and the making thereof has been as a combination of variations to reach similar goals, namely that of giving shape to something literal or metaphorical. An idea is either suddenly hit upon or slowly arrived at and then there comes the period when that idea needs illustrating, explaining and made accessible to the viewer. Here the illustrating process is a tool for a rather predetermined goal and therefore the nature of the result similar. 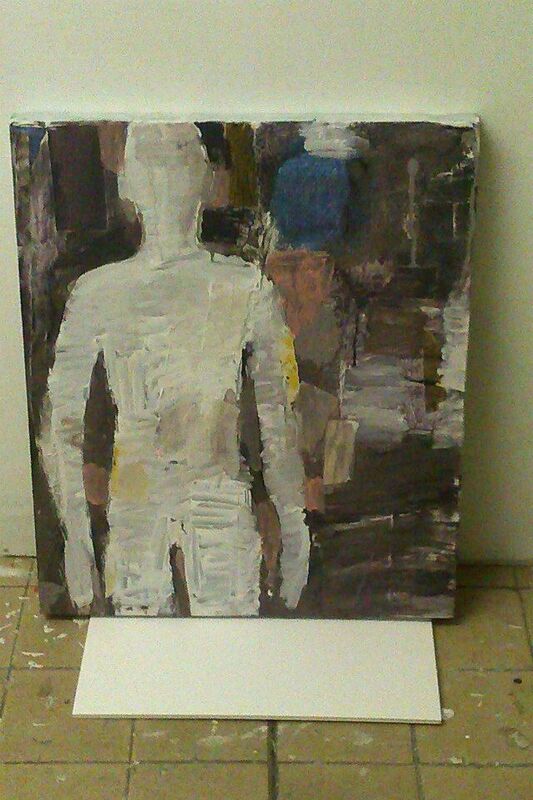 Abstraction purges the image from content in a way and what remains has very different qualities and properties. Often the most interesting thing about abstract works is why they were created in the first place. This puzzle takes some contemplation and it’s in the inducing of this state I find new parameters can be found and understood. 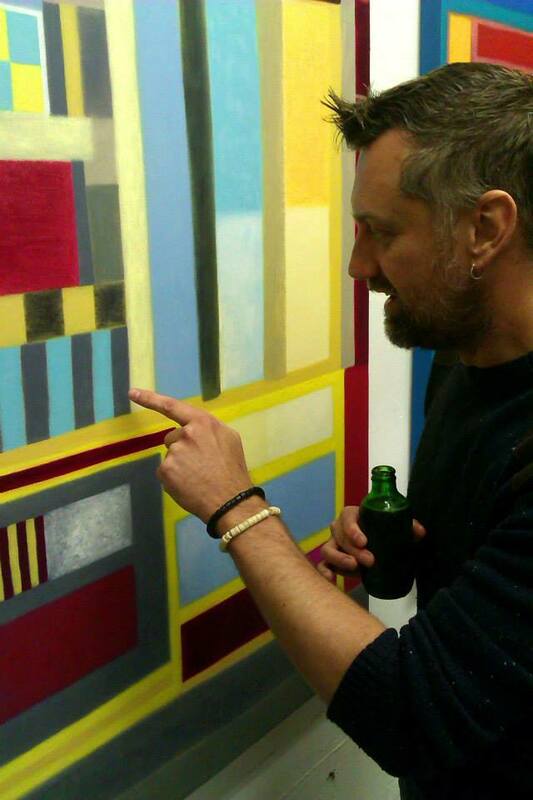 LH: Your painting Linkage III was shortlisted for the 2014 Bankley Open Exhibition by our judging panel for it’s strong composition and striking use of colour. 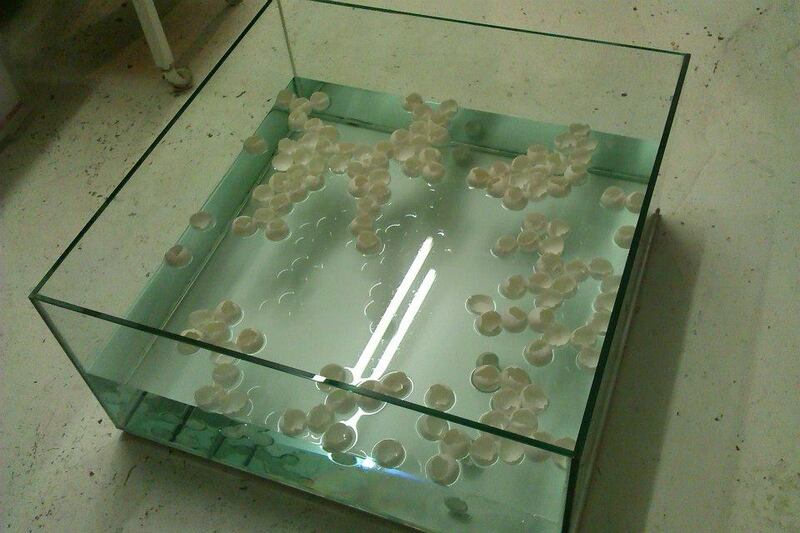 Could you tell us about what inspired this work? MO: It started initially as a homage to the line, but soon developed far away from this original idea to something akin to a statement about looking and how the way a visually barren surface kick the eyes round the work in a hunt for content. Nothing is ever totally ‘nothing’ because we can’t escape ourselves, the perpetually activating tool with which we experience everything. I deliberately turned the colour down and made the more pronounced protagonists of the piece the uninflected strips of white, black and grey. Seemingly purged from activity I wanted to show that some activity still remains, namely the activity we ourselves put into anything we engage with. 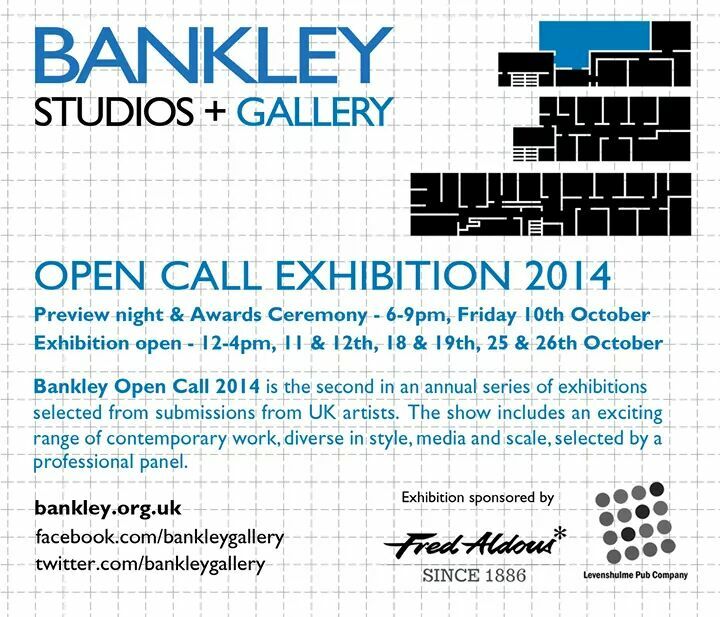 LH: As our first artist residency participant you’ll be based in Bankley’s new Project Space until March 2015. Can you tell us what you plan to work on during your time with us and what you feel the residency offers your practice? MO: This residency offers me a chance to get a much wider perspective on what I do, what other artists that I’m yet to get to know occupies themselves with as well as what Bankley Studio&Gallery is all about. 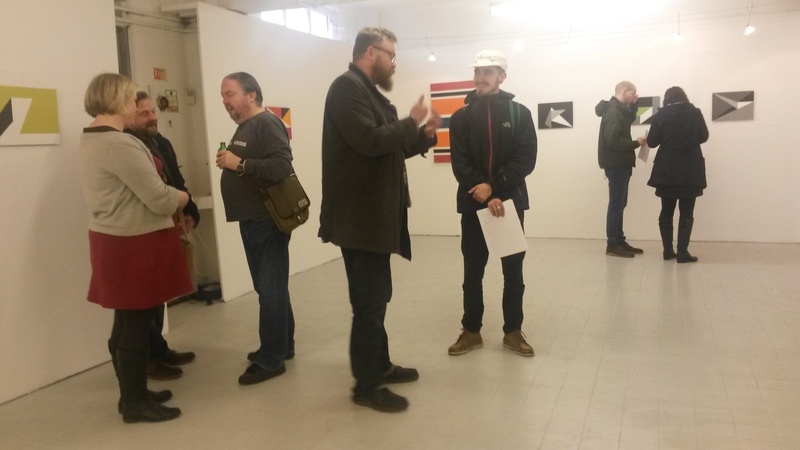 Beyond this I will first and foremost be working towards putting on a show in Bankley Gallery for the spring 2015 in collaboration with Gary Andrew Clarke, as our work share many similarities in both outlook and how they are constructed from sets of rules. 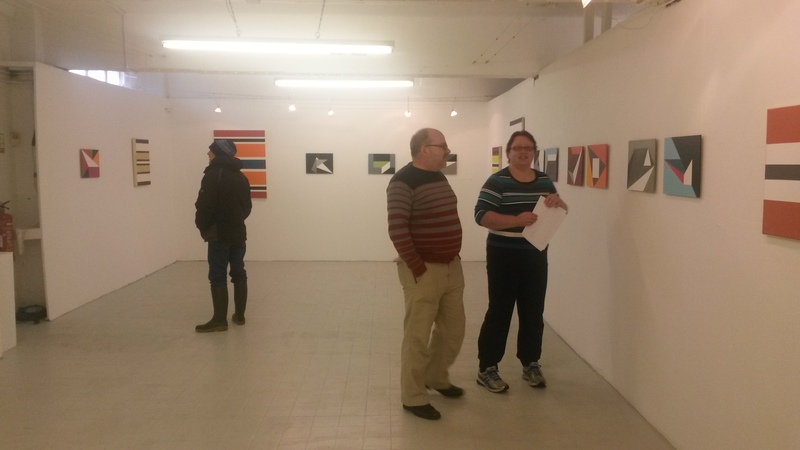 I look forward to getting to know other artists at Bankley as it very much is a powerhouse of individual creativity over a wide range of disciplines. 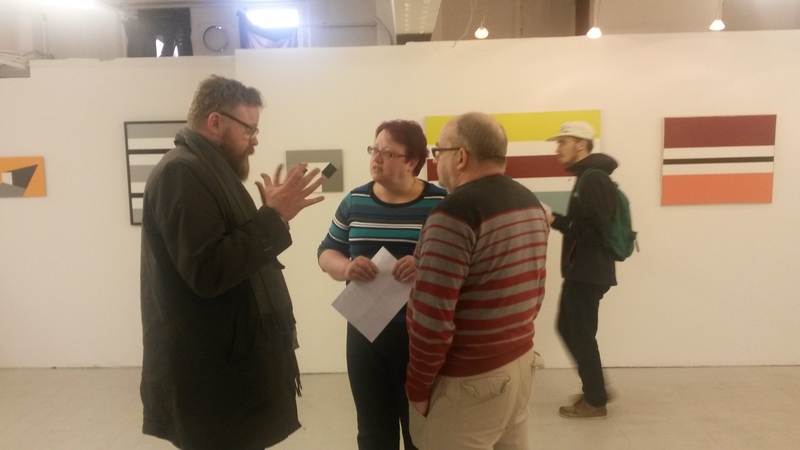 I also want to invite other artists for informal discussion meetings on different topics relating to what we do as individuals, as well as opportunities to share ideas and perhaps even the odd critique here and there! I’m also creating a Facebook photo album about my stay for good measure! Follow Martin’s residency online here. 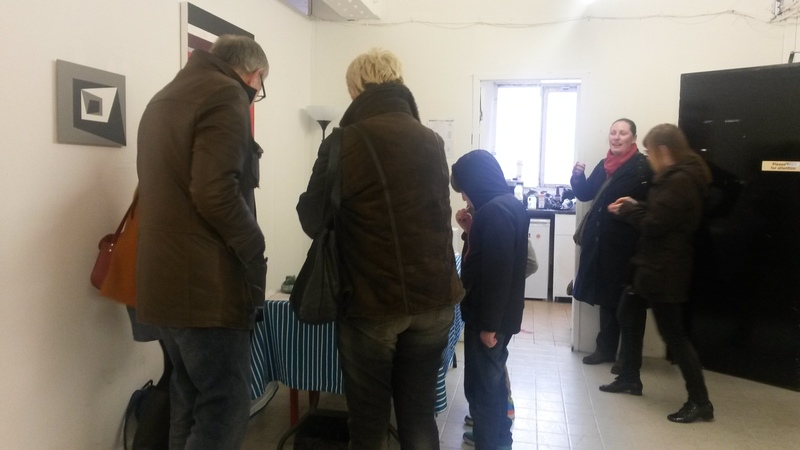 The Pop-Up offers visitors the perfect opportunity to buy unique gifts and affordable artwork directly from our resident artists. 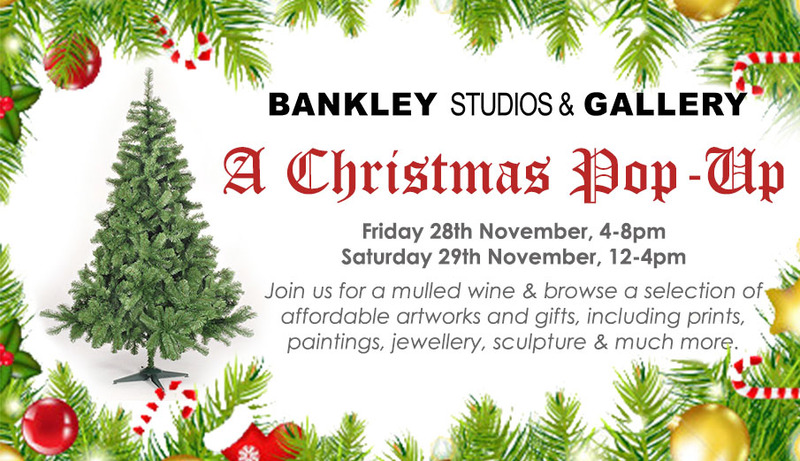 Join us for a mulled wine or something cold from the bar, and see the exciting diversity of work produced at Bankley Studios across our exhibition space and stalls, including prints, paintings, sculpture, jewellery and much more! 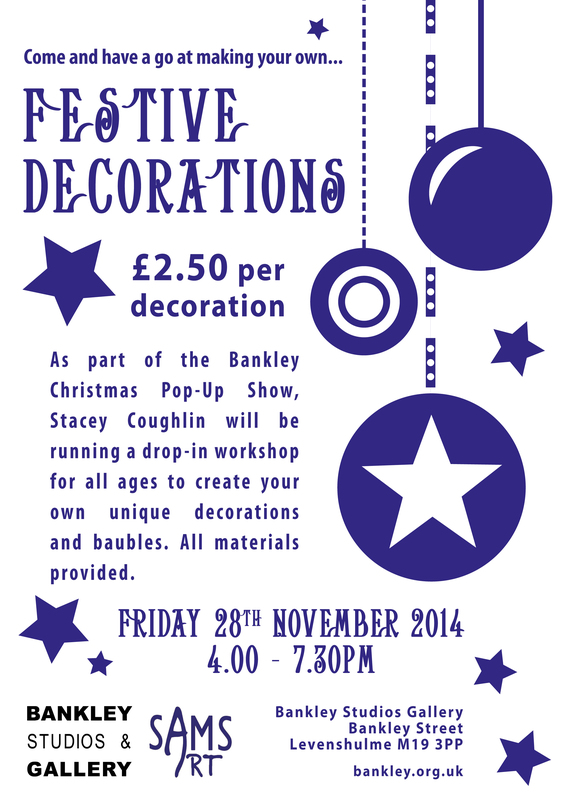 SAMs Art will be also be running a drop-in workshop suitable for all ages where you can make your own Festive Decoration on Friday 28th, from 4-7.30pm. Why not make a night of it with Levy Night Market running over the road from 4-9pm on Friday 28th November? The Levenshulme Market hosts some of the best street food Manchester has to offer, independent traders selling fresh produce and unique gifts alongside live music and a full bar. 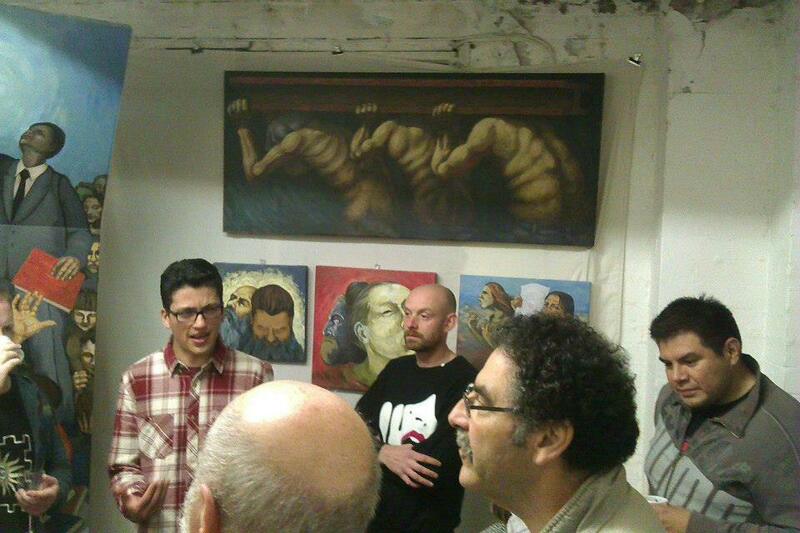 Thanks to our artists for a fantastic and thought provoking Wrap Party to close the Bankley Open Call 2014. 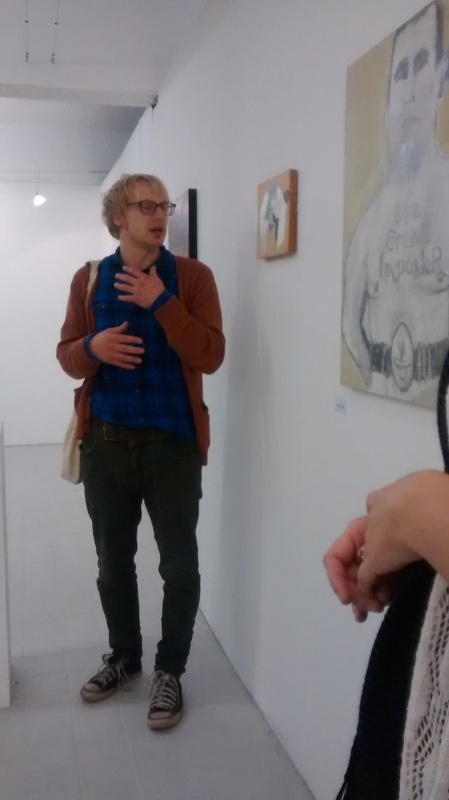 We heard from Holly Rowan Hesson about her winning installation Spark and her plans for her solo show in 2015, second prize winner Matt Davies about his pieces The Great Imposter and Office Times, Andy Broadey who discussed the ideas behind the Levenshulme Contemporary Art Centre and the documentation of the project within Bankley’s new Project Space, and from abstract painter Martin Olsson who has been awarded our first Artist Residency based within the Project Space. 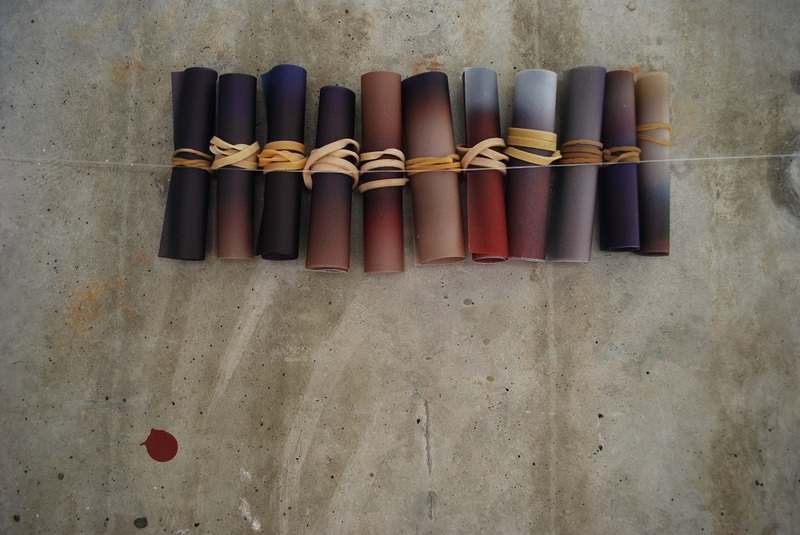 Martin begins his residency in December and will be creating new work within the Project Space until March 2015 culminating in a solo exhibition, it is the first in what is hoped with be an ongoing residency program. Holly Rowan Hesson is an artist based in Manchester and Leeds. 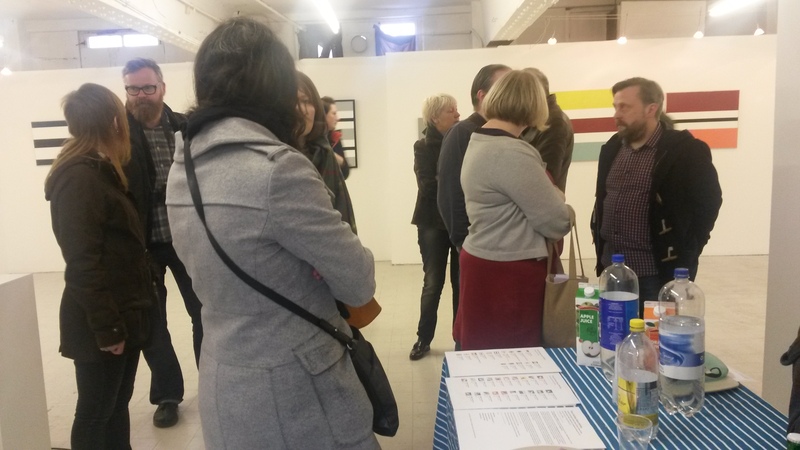 Since completing a practice-based MA in Contemporary Fine Art with Distinction in 2013, she has been initiating her own site specific projects and exhibitions as well as exhibiting across the North. She was selected by our Open Call 2014 panel as first prize winner for her photographic installation Spark. 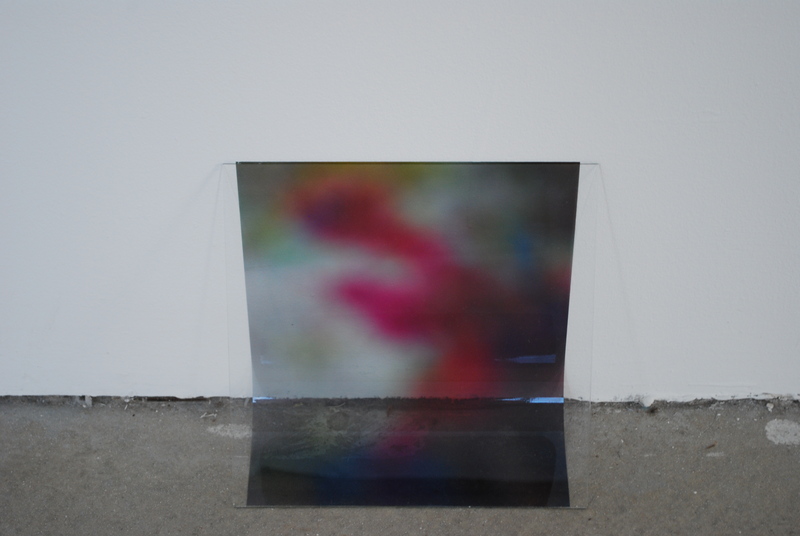 Holly’s work explores process-led image-making that creates dialogues with material, sites and residual memories. Her work most often starts with a camera and ends in installation. Responding intuitively to her surroundings, she is compelled to alter what she sees, transforming solidity and the real into something more abstract, transient and ephemeral. Lucy Harvey: I wondered if you could tell us some more about your winning piece, Spark, and the processes behind the work? Holly Rowan Hesson: Spark was originally made for a group show exploring abstraction held this summer (Society of Island Universes – http://hollyrowanhesson.co.uk/society-u-installation) and represents a departure from the work I was making in the year preceding that. I’d been working in an intense way, giving myself short timeframes, typically just a week, to make, produce, curate and show work in a site specific way, where all the work was made in and of the site where it was to be shown. With Spark I wanted to challenge myself to make something that worked with the site it was shown in and with the other artist’s work, but actually could have a life beyond that particular exhibition as a work in its own right. I allowed myself to go back to thinking about abstraction in a purer way, in terms of colour and form, going through my catalogue of abstract photographs and experimenting further with materials I’ve been working with for a while for their particular properties that tie in with my core concerns, acetate and glass. LH: What drew you first to photography as a medium and how has your relationship with it changed since undertaking your MA in 2013? HRH: I was given a DSLR camera as a birthday gift in 2010 when I was in the middle of my year long foundation course and as soon as I started experimenting with making abstract images I was hooked. I’m really not a classic photographer though – my technical expertise if you’d like your photograph in focus and lit well is highly limited! Throughout my MA abstract photographs were my main outputs but my solo MA final show completely changed that overnight. 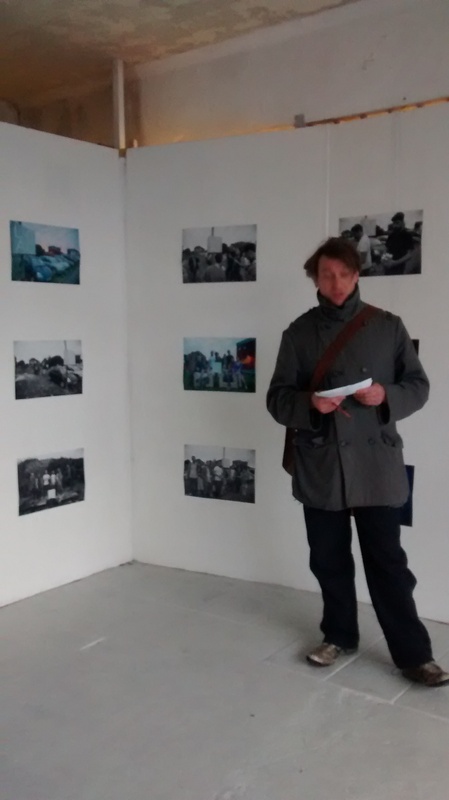 At the end of April 2013 I gave myself ten days on site in a huge concrete shell of a building to start from scratch with no work and make an exhibition and it was a revelation – what I produced developed my work in an entirely new direction. Now increasingly I use abstract image making with my camera as the first step in responding intuitively to my surroundings to start dialogues with material, sites and residual memories. I’m interested in transforming solidity and the real into something more abstract, transient and ephemeral and the images I produce with a camera often undergo multiple physical processes using different materials and more often than not end up as installations of sculptural objects. 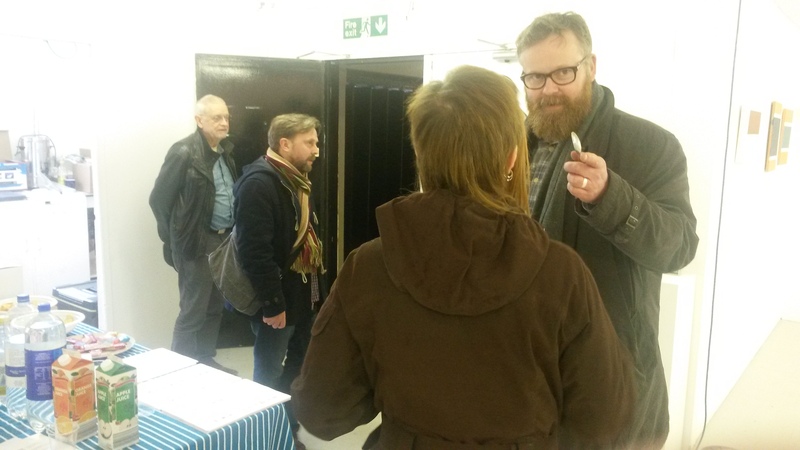 LH: We know you’ve already got some ideas for your solo exhibition with us next year but we wondered if you could give us an insight into what you plan to develop for the show? HRH: With an amazing six months to plan and make work in the studio for the solo exhibition as oppose to my now standard seven to ten days on site, anything could happen! I’m always keen to experiment and my first thoughts are that I’d like to use my prize money to investigate working with materials and with scale that I just haven’t had the funds to explore before. So I’m planning exciting trips to builder’s merchants and specialist fabricators. Beyond that you’ll just have to watch this space I guess! 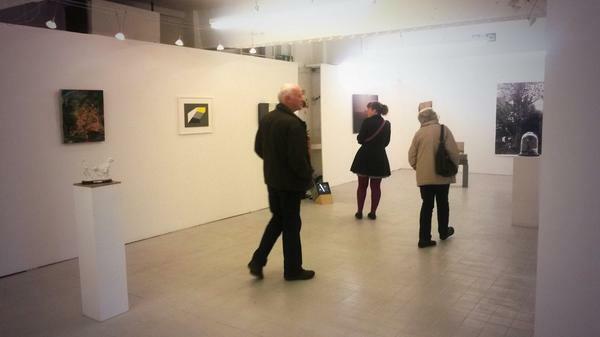 It’s your last chance to catch the Open Call this Saturday and Sunday, 12-4pm. Holly and second prize winner Matt Davies will be joining us to discuss their work this Sunday at our Wrap Party in the gallery from 2-4pm, see our Facebook events page for more information. We will also be launching out first ever Bankley Residency in our new Project Space on the third floor and our bar will be open, with kind sponsorship from the Levenshulme Pub Company. 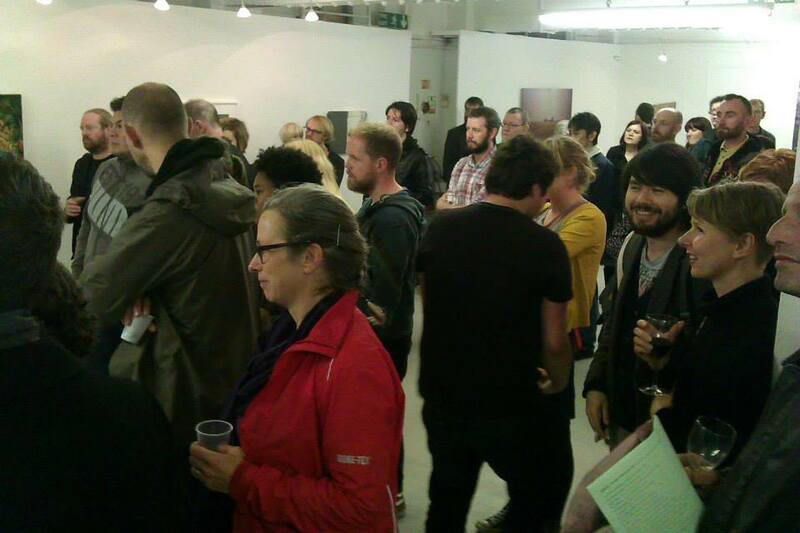 The Wrap Party + Bankley Residency launch is part of Levenshulme Festival 2014. 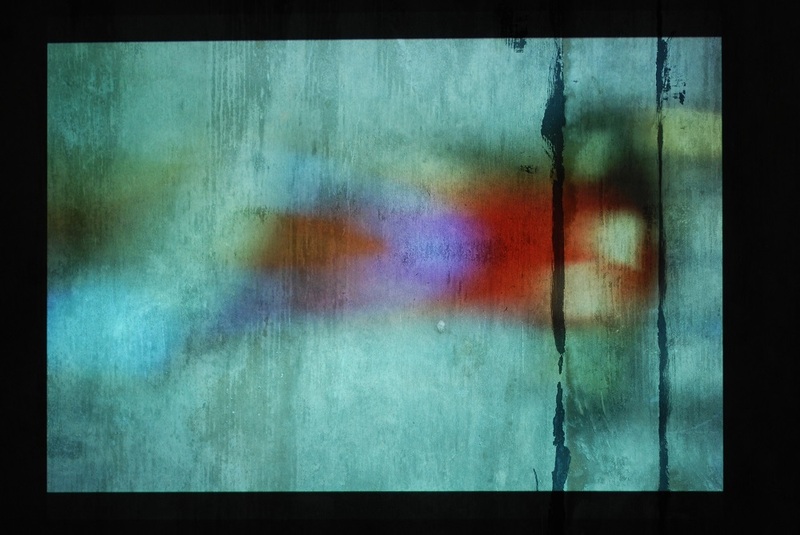 Congratulations to Holly Rowan Hesson who was selected by our judging panel as the overall winner of the Bankley Open Call 2014 for her abstract photographic installation, Spark. 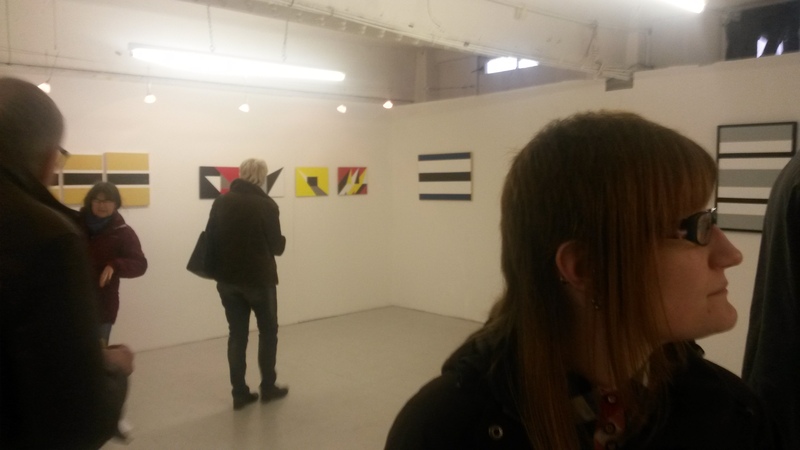 Holly received our first prize of £500 and will be returning for her solo exhibition at Bankley Gallery in 2015. Our second prize went to Matt Davies who received £150 vouchers from our sponsors Fred Aldous for his pieces The Great Imposter and Office Times. 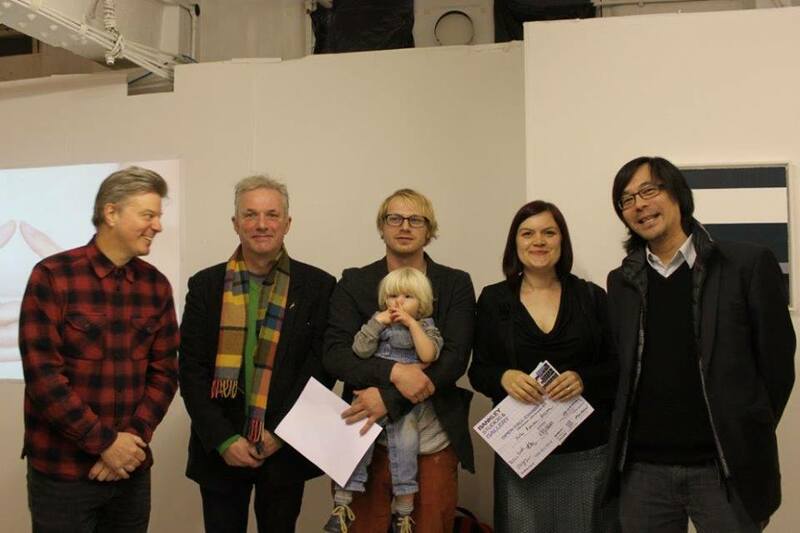 This year’s shortlist and winners were selected by Chris Bloor, Co-Director of & Model Gallery, Leeds; Kate Jesson, Curator at Manchester City Art Gallery; Kwong Lee, Director of Castlefield Gallery, Manchester and Peter Seal, artist and overall winner of Bankley Open Call 2013. 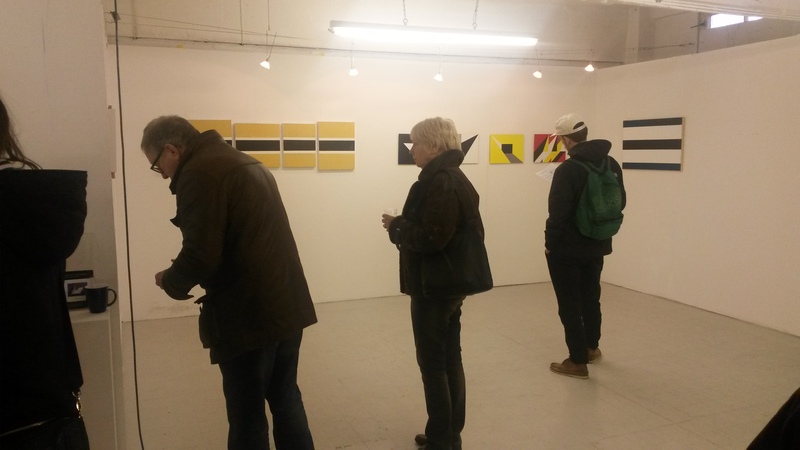 Catch the last weekend of the Open Call exhibition this Saturday and Sunday from 12-4pm, and why not join us for our special Wrap Party event this Sunday from 2-4pm? Join our Facebook events page here. Thank you to all our visitors who made it to our Open Studios this year, we had a fantastic weekend and plans are already afoot for a Members Show in the foreseeable. Photos courtesy of our wonderful friends and members Martin Olson, Caroline Baldry, Linda Spiteri, Stacey Coughlin & Clair Graubner.